The holidays and #holidaze sales never stop in the Philippines. I think it officially ends (or re-starts? ) after we welcome the Chinese New Year. 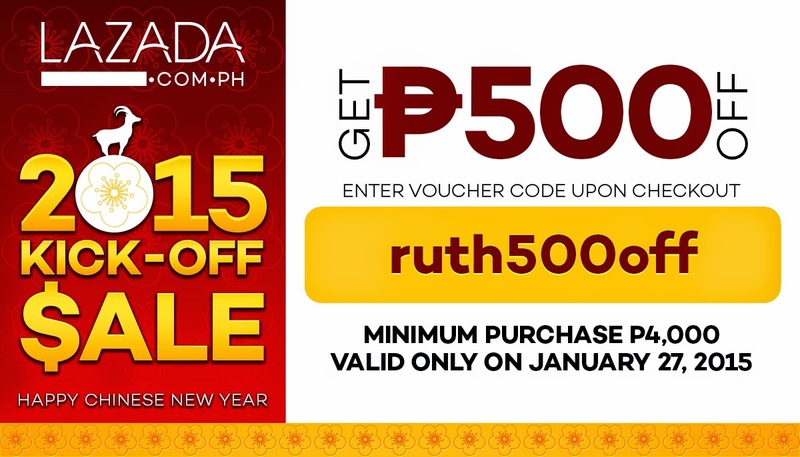 This year, Lazada would kick off the Chinese New Year celebration with an awesome Chinese New Year Sale! Following the success of the 12.12 Revolution Sale which garnered increase in sales, transactions and interactions, expect nothing but bigger surprises from Lazada! What to Expect from the Lazada Chinese New Year Sale? ♥ Killer deals as much as 88% discount! ♥ Exciting discounts from Telco and Bank Partners - Smart Bro, Citibank, BPI, BDO and Maybank! 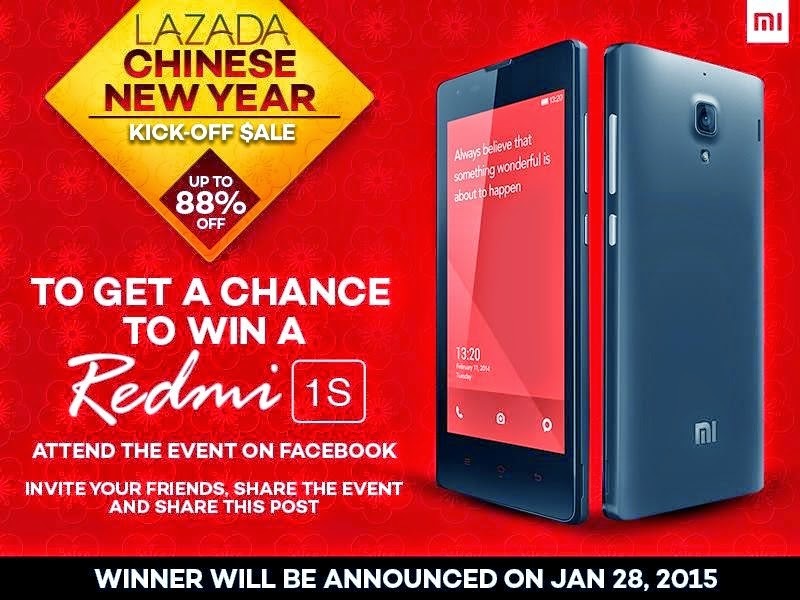 ♥ Lazada is giving away a new exciting mobile phone - Red Mi 1S! Check out the details here. There are variety of products from fashion, beauty, lifestyle, and gadgets. This is one thing I love about Lazada, it seems that they have everything. How Can Lazada Offer the Lowest Prices in the Market? It is the little secret that the Lazada team has shared with us during our meeting last meeting. The Lazada team check out the market, and online stores and records all the market prices of each products - to ensure that they offer the lowest in the market - online or in store. I am excited for the Chinese New Year Sale happening at 12:00 am of January 27, 2015.